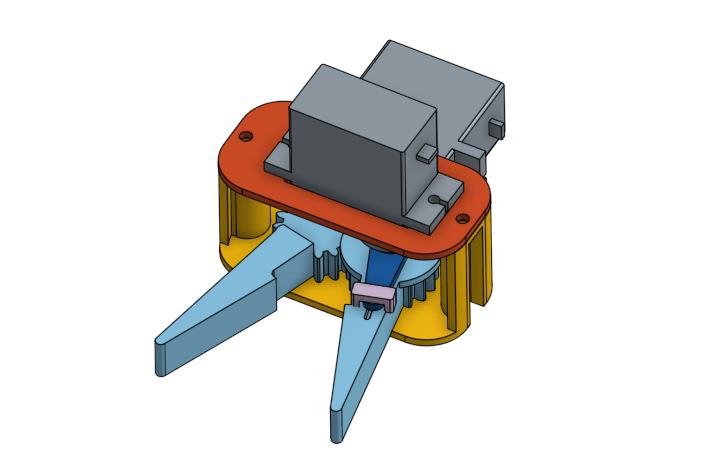 Some initial pictures from a robotic arm gripper I designed using Onshape and 3D-printed on Makergear M2. I am using inexpensive micro hobby servos. 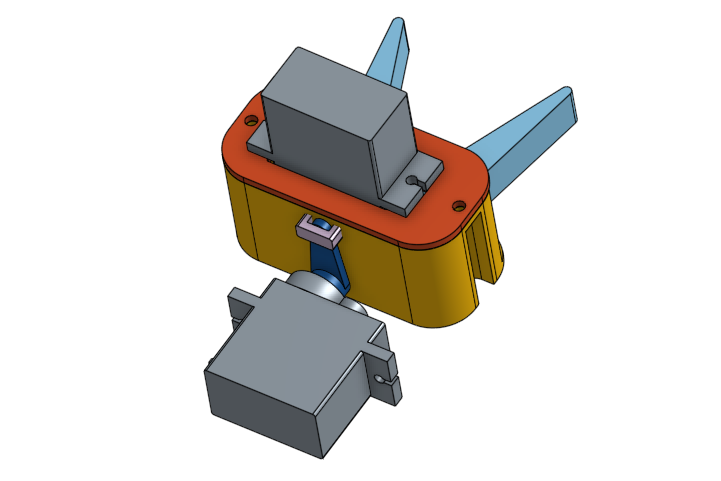 I am able to activate the gripper using a servo tester but need to adjust the dimensions for smoother motion. 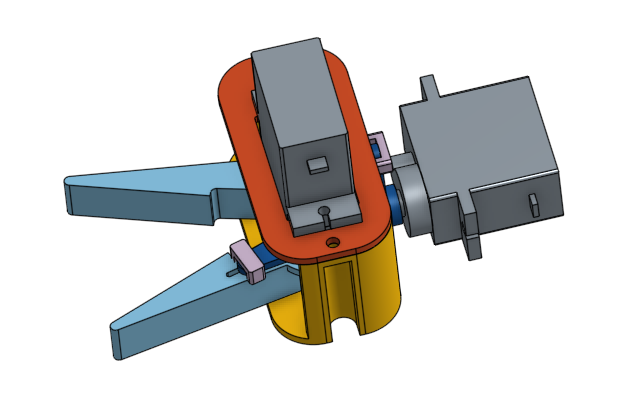 As I build rest of the arm, I also plan to change the shape of the tip to provide more clearance.